Home > Jamaica Tours > Grand Palladium Tours > Margartaville Party Shuttle from Grand Palladium Resort. Your Margaritaville shuttles from Grand Palladium allows you to experience the best nightlife of Montego Bay while staying at the Grand Palladium Lady Hamilton Resort. Our shuttle picks you up at the hotel to take you on a starlit journey to the Ville in our luxurious and comfortable buses. Margaritaville is hailed as the place to be on Montego Bay’s “Hip Strip,”, this is perfect for anyone looking for exciting entertainment, a lively, fun atmosphere, delicious food and fun concoctions. Margaritaville is only a short 40 minute ride from the Grand Palladium Lady Hamilton by our shuttle. Party by the bar or on the upper level under the stars, there is open air dining and the upper deck which provides unparalleled views of the Caribbean Sea. You will agree, Margaritaville is the most fun this side of Paradise! Margaritaville comes alive as the Hottest Nightclub in Western Jamaica and swings to the sounds of its in-house deejays. Theme nights include Glow, Bare as You Dare, and Ladies Night every Thursday. 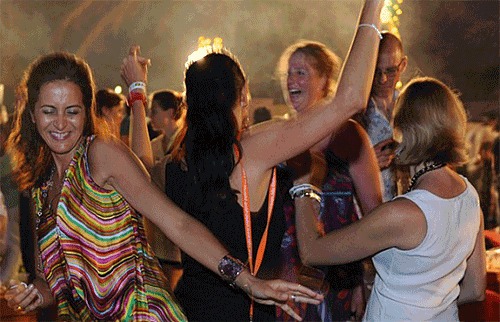 Come join the fun and book your Margartaville Party Shuttle from Grand Palladium Resort with us. Round trip Transfer between Margaritaville and Grand Palladium Resort. We had a wonderful time at the club, we were wasted but thanks to our driver we got back to the resort safely, thanks for a great trip Kevin. Ask a question about the Margartaville Party Shuttle from Grand Palladium Resort.